In Workplace Wellness Program we teach something which is called as Desk Surya Yoga, and the first question when you see these topic , comes to you , that why we do we need an Desk Surya Yoga – a version of Surya Yoga which you can practise sitting at your office. Workplace/office life is Sedentary – The human body is made of movement and activity and it suffers when it was given nourishment with movement and activity. All the joints maintain their mobility, when they are put into activity, and the same way muscles maintain their elasticity when they are put in action. All the systems and organs like digestive system, circulatory system, and respiratory system become efficient when they are put into activity. Movement is natural and necessary for wellness in your office, but most office jobs, required sitting in a cubicle for long hours looking at the monitor which is both straining for eyes and also straining for the health. Workplace/office life deprives you with vital oxygen – Workplace and modern offices are mostly air-conditioned and they almost deprive from the vital oxygen which you need time to time. Most people do not breathe fully and so they do not take more oxygen and throw out toxins from the body. With the essential supply of oxygen going down, and toxins growing up the body and mind become more tensed. Workplace /Office life is emotionally draining – In a standard office, you are in for eight to ten hours, with a group of people, who are coping with the same situation. Though there are some general differences, like the chairman and managing director can have his room and a comfortable sitting arrangement, there can be managers whose role would involve on moving around and travelling a lot. But then also you are more or less on the same kind of situation where few have more mobility and more oxygen to vitalise themselves in and out. You have to cope with each other, with a kind of same working condition. And in times of stress, you essentially get in each other’s nerve, and also blaming each other which emotionally drains you. Workplace/Office life can generate a lot of anxiety and stress – In an global economy where we have high outsourcing trend , leading to less job security, and lower income, cut on interest rates, leading to lower savings , high inflation leading to more spending , the present generation, has to work more to retire with a healthy pension . So, when you are in a very competitive industry, in a very competitive job, you are always stressed with a lot of anxiety of future. Added to it, there can be many interpersonal reasons, also for stress and anxiety, like you are not getting well with the boss, or your office is subject to high office politics, and power struggles even if you are not part of it. Workplace is an area, often emotionally draining, physically unhealthy, work wise demanding, subject to worst politics and power struggle which can even keep mentally sou and and physically healthy person unwell. Travelling in Workplace/office and back to home is a big hassle – If you are working in a metro city like Kolkata, where real estate’s prices are growing very high, you might have to live in the outskirts of the city, and travel back and forth, unless you can afford the high price of staying in the heart of metro. Then reaching the office and going back to home is itself a hassle for you. Infact, even when your job is fulfilling and you are satisfied with the way , your career is progressing these can be challenging condition to you . Now , if you feel, you are stuck and your career is not progressing and you feel you cannot leave , or if you are over promoted and you don’t have the personal abilities to perform the job , you are with more problems. 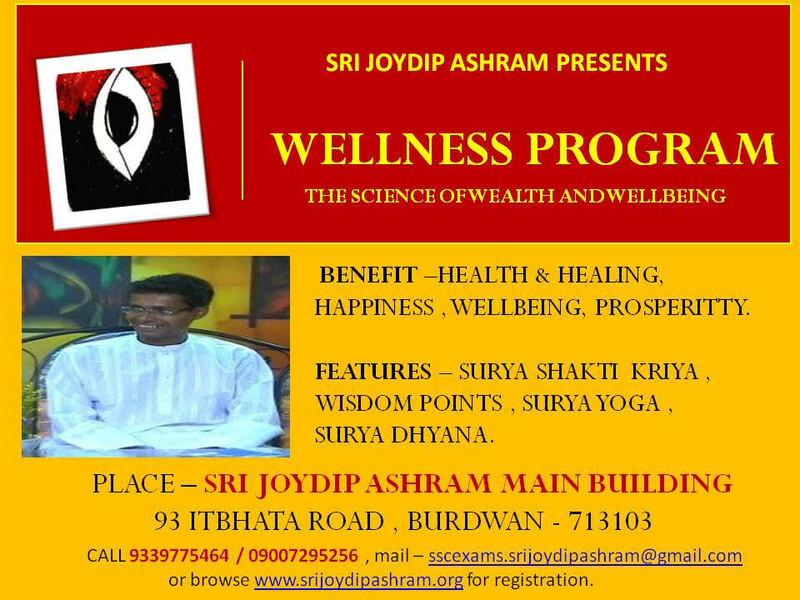 In every way , a lot of quality of life depends on your workplace wellness and its very hard to achieve and that’s why you need Workplace Wellness Program which give specific solutions to each of these problems teaching a Desk Surya Yoga , a form of Surya Yoga which you can practice sitting at your desk , in your cubicle.